Write a program in C# Sharp to find transpose of a given matrix. 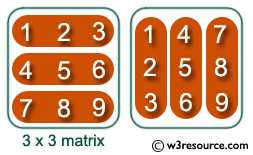 Previous: Write a program in C# Sharp for multiplication of two square Matrices. 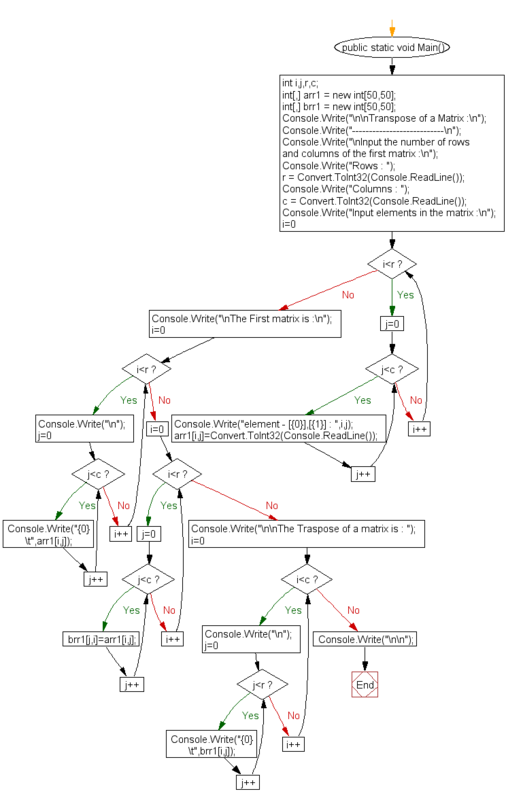 Next: Write a program in C# Sharp to find sum of right diagonals of a matrix.